Radical Race Cars Get Set To Rev Your Engine At Adrenaline! Tap into the radical track action with lap-time speeds that are set to startle the senses. 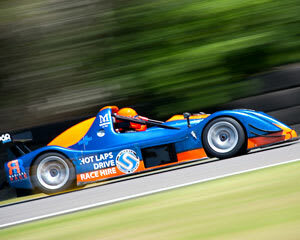 Adrenaline offers the hottest ticket with its exciting range of radical race-car packages. You’ll be taking part in track days, in super-charged radical cars, whose cornering forces and handling capabilities are a force to be reckoned with. Before you know it, you’ll be developing driving skills, if not mastering the radical race series, in winning form. If you yearn to clock up lap records in custom-engineered sports cars, also known as demons on wheels, the effect can only be radical. This unique professional racing sport is a fairly recent innovation, but its fully accredited one-make series supports four international series and more than six competitions in Britain, where Radical Sportscars were founded more than 20 years ago. As the name suggests, a radical race-car driving experience is the wildest ride you could encounter, either behind the wheel or in the passenger seat. So buckle up and brace yourself for the radical race car drive-and-ride event of a lifetime, with a little super-charged love from Adrenaline. 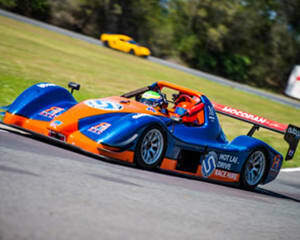 You could choose from Radical SR3 Race Car Hot Laps, Race Car Drive and Race Car Drive and Ride packages at Queensland Raceway, Norwell Park or Morgan Park. 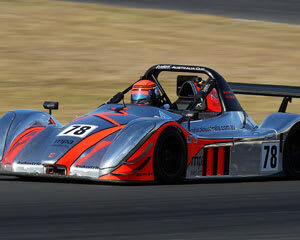 The Radical SR3 Race Car Drive and Ride – Brisbane or Gold Coast package is the pole position winner. You’ll be fully briefed on the power and passion of these custom-engineered racing machines, including how to manage the six-speed paddle shift gear box, by a professional race driver. Check! Helmet on and suited up, you’ll take control for six driving laps, with your pro driver right by your side and communicating via two-way radio. Prepare to be blown away as your expert instructor takes over for two of the hottest laps you will ever encounter. Lap records are certain to be smashed following this breathtaking experience highlight. Take home a lasting reminder of your milestone Radical Sportscar racing event in the form of in-car video footage, which can be purchased on the day. How fast do radical race cars go? The Radical RS3 is the fastest racing car in the world and is capable of speeds up to 230km per hour, including cornering forces of up to 2.5G, which you will encounter with a hot lap experience in the passenger seat. How old do you have to be to race cars? Age shall not weary inveterate rev heads with the ultimate need for speed. The young at heart, who also possess good heart health and moderate fitness levels, can sign up to drive a radical race car at Adrenaline. Do you need a license to drive radical race cars? Drivers of radical race cars must hold a current driver’s license and be competent in handling an automatic transmission vehicle. L-plate drivers are excluded from taking control behind the wheel in a radical race car, but that doesn’t mean they can’t take part in a hair-raising and heart-pounding passenger experience at Adrenaline.